The new model FX/Nytro comes with a short or low windshield. Some find it too low especially if you are out on the trails for the day. Yamaha makes different sizes! A tall windshield keeps the wind off your chest, keeps you on the seat and warm. For maximum wind protection combine the tall windshield with a windsheld deflector kit. The deflector really makes the difference extending out to the hand grips, blocking wind to your lower arms. Here is a photo of the tall windshield with deflector kit on a machine we in our service department. Install is easy. 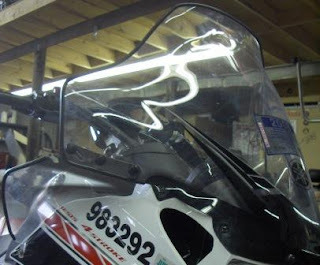 Windshields come clear or tinted and are made of high-quality polycarbonate. Windshields are designed to look sharp and stay flexible in extreme cold. The following sizes are available: Low (8.5"), Medium (10.75"), Tall (14"). 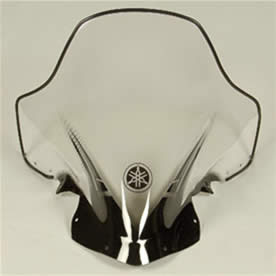 Check out windshields and more snowmobile accessories online.